These 2 Over 2 Uniform Lockers are available on www.buyusedlockers.com where they have a huge selection to choose from if we need additional supplies. Dimensions: 24" x 22" x 81"
Uniform lockers with 50% more space per compartment compared to the standard 8 compartment uniform lockers. This unit has 1 large door for access to all 4 compartments as well as individual doors and locks for your personnel. 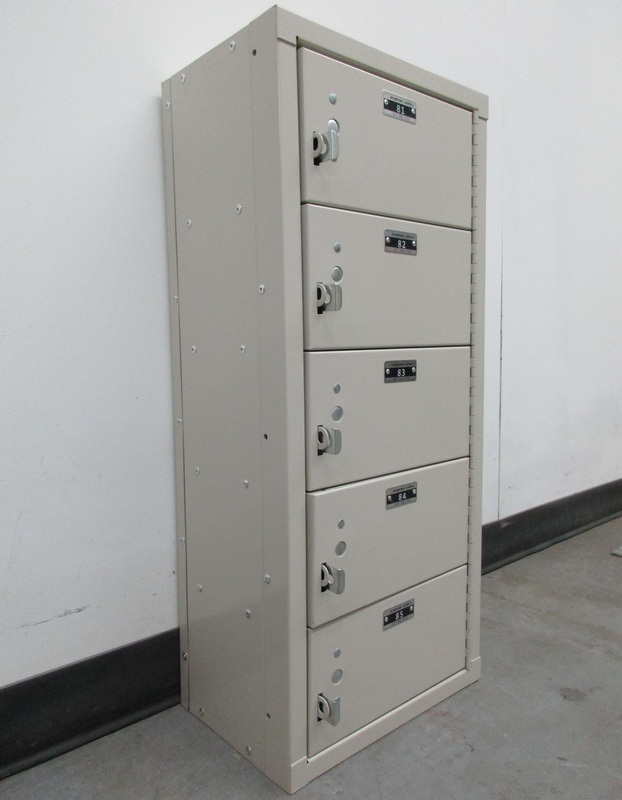 Each clothing locker unit is 23-15/16" wide x 21-7/16" deep x 80-13/16" high overall. It accommodates hanger-held clothing for four people. These are excellent as clothing lockers for uniforms and other garments in business, commercial and institutional establishments. 3 lock options available: Key Lock, Combination Lock and Turn Knob. We have clothes lockers in additional sizes as well.